Cou-cou! Are you looking for a cute French activity with bunnies for your K-/Maternelle class? 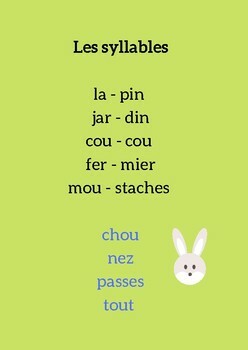 The adorable French children's song "Mon petit lapin" can be used to teach new vocabulary, pronunciation and syllables. You can start by singing the song with your class (if you don't know the tunes you can find them on Youtube or on TpT). 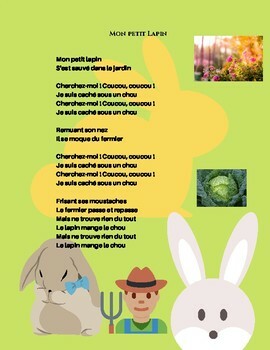 While singing, you can play with the students how the bunny is hiding from the farmer and eating his cabbage. 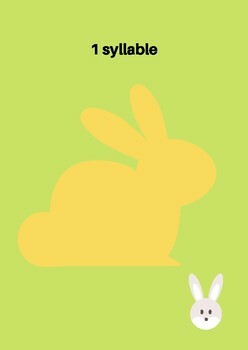 Students of this age usually love to imitate the bunny, and they will have a good time to move around and sing along. To teach the new words, you can show the new vocabulary (chou, nez,...) using the first page of this activity, or using other strategies such as bringing a real cabbage, tipping your finger to the nose,.. When you feel that the class is ready to move on - this could also be the next day - you can talk to your class about the syllables of the words. To identify if the word consists of one or two syllables you can clap your hands or jump up and down, whatever works for you! Songs are a wonderful way to teach rhythm and pronunciation of a language. You can use the third and the forth page to either draw, stick or write down each word onto the right column - one or two syllables. 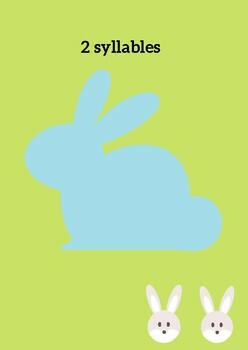 Have fun with this cute activity with the cheeky bunny!